New Uses for Hardwood Flooring | Fix It! One of our clients recently gave us an interesting challenge: could we use hardwood flooring to cover the back and sides of an IKEA wardrobe? The flooring was real wood, not laminate. What an innovative idea! 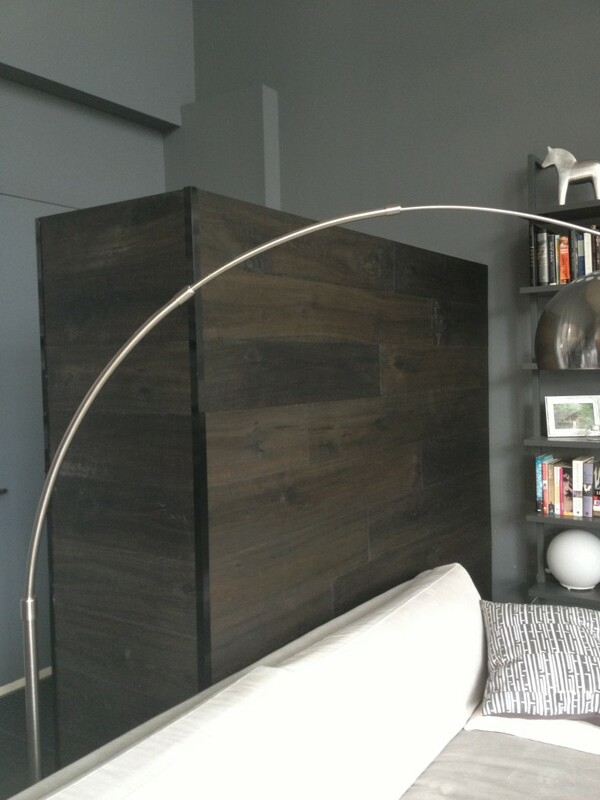 The client wanted to use the wardrobe as a room divider between the front door and the living room of her condo. This way you don’t open the front door and walk right into the living room. Because it faces the front door it has created a foyer in addition to providing valuable closet space. The wardrobe is not meant to be free standing, so the back is unfinished. It also isn’t strong enough to attach the hardwood to it. Our solution was to attach particle board to the back for strength and to provide an area to attach the hardwood to. 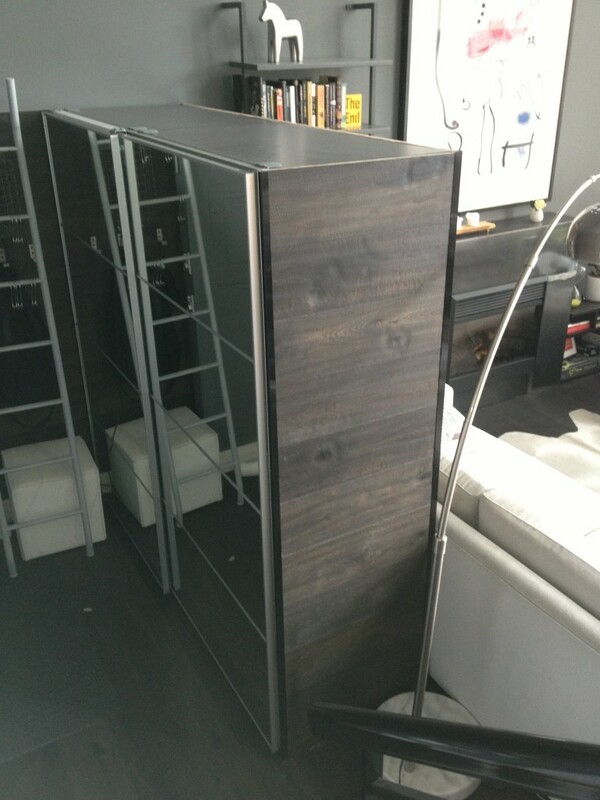 The end result was what looks like a solid wooden wardrobe with mirrored doors. Fabulous! Hardwood flooring isn’t designed for this purpose so it took some creative problem solving, but in the end, it was a great success.